You guys, I am super excited to tell you about my week! Last Monday, I told you that I had used all my extra points (probably plus some) on the weekend and I was ready to take on the week with perfect 28 point days, and that is what I did! The results were amazing! Check it out! I lost 4.2 pounds. 4.2 pounds. I was excited, shocked and I have to say, very proud of myself! There were a few times I had to make some tough choices, but it was so worth it to get that motivation of losing big! 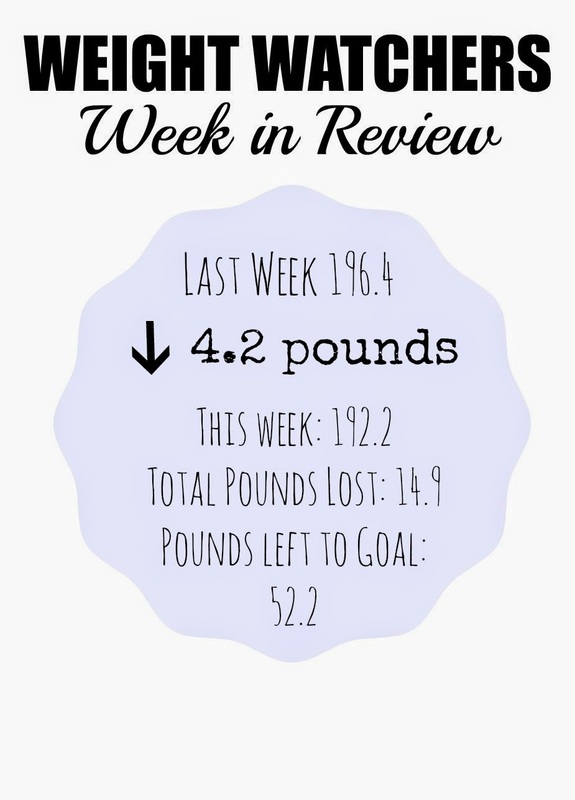 Last week, I gained 1.6 pounds, so I lost all of that again, plus 2.4!! Weight Watchers is working for me and I am still really loving it! I need this week to be great as well, because starting Friday, the kids are on vacation, and I see that being a challenge for me with what we have planned. So this week will be important to stay motivated and lose a few more pounds before that happens. Also, today is the day I start taking my picture again! I have joined Bohemian Housewife for her 8 week fitness challenge. 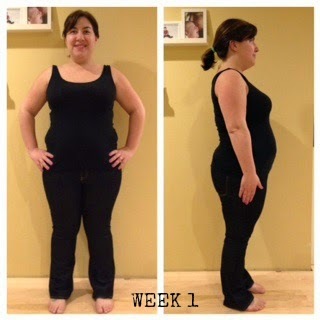 I am starting a week late, so I, am on a 7 week challenge. I am looking forward to this, in hopes of getting me into an exercise routine. The goal of this challenge is 30 minutes of any kind of physical activity 6 days/week. Since this is a Fitness challenge, let's do some measurements as well! 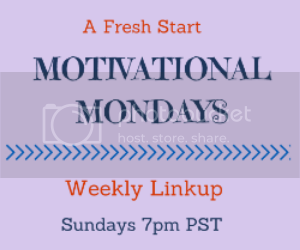 Here is my plan for this week and I will update you with how I did next Monday! Well, I think that covers everything! This post had a lot going on. I am off to make my grocery list. I want to be in and out of the grocery store in record time today. The weather is gorgeous and I want to enjoy it. We have been waiting for nice weather to come around in Maine for far too long. I am going to need to enjoy every second of it for the next week! 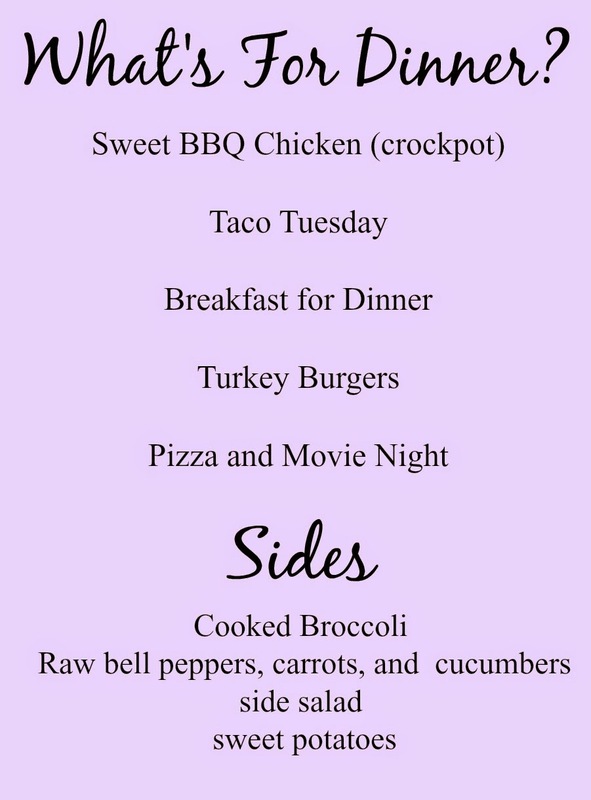 Speaking of this week, come on back for a great new recipe with Weight Watchers points, WIAW, Friday Favorites and maybe one fun post! Have a fabulous Monday, friends! Yay, keep it up. I am curious if weight watchers would work for me. I am the same weight you are right now. I've done a ton of reading in to it and I'm not sure what's keeping me from trying. Good luck! I don't see why it wouldn't work for anyone! It is really easy to follow and does not feel like a diet! Let me know what you think, if you decide to do it! Good luck! Keep up the good work!!!! I need to get back to WW so badly! This baby weight has got to go!!!! I did WW maybe 11 years ago to lose just a little bit of extra weight and it worked great, but it has taken me this long to get back to it. It can be hard to get started again! Awesome!! I am so happy for your loss this week! Get moving and enjoy that sunshine!! Thanks, Laura! I did enjoy the day and got a nice long walk in! Wow! That is so awesome..you should be so proud of yourself! Losing weight is NOT easy!! I'm struggling finding the time to get my workout it. It's hard when you work 10 hours days! I bet it is hard! I don't work outside the home and still find it hard to get a workout in, so I can only imagine trying to fit one in working 10 hour days. Good luck! What a great loss! It's so rewarding to see hard work pay off. Your fitness challenge sounds like a great plan! good luck this week! Good luck with your journey! Thanks for stopping by! Wow, that's incredible! You should be incredible proud of that! Way to go! You're rocking it. I'm trying to get back in the swing of things and get in shape for summer—not so I can look like I did in college (although that would be nice), but to have more energy to run around with my toddler this summer. Yes, lowering weight does have a huge impact on energy levels! I am looking forward to getting that back as well! Way to go on your progress, that is so exciting! Thanks for linking up, too.